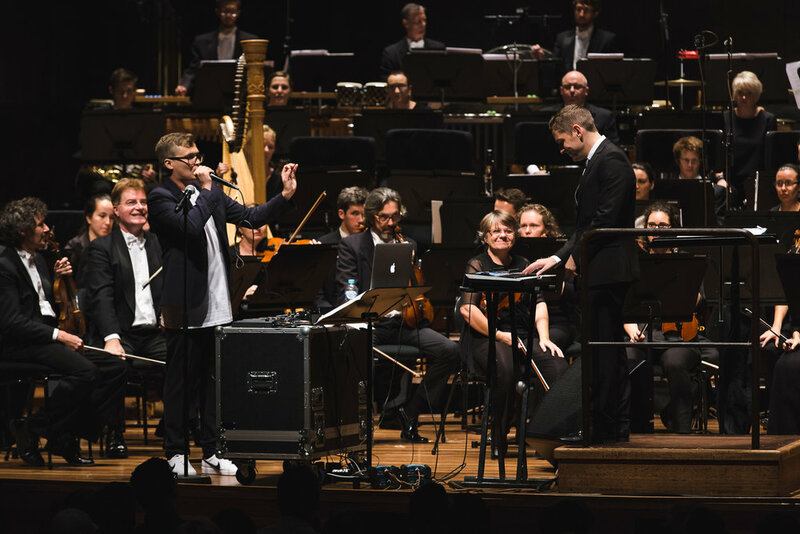 It was in 2015 that this rather unusual musical collaboration was born, when world-renowned beat box artist Tom Thum and acclaimed composer Gordon Hamilton, along with the Queensland Symphony Orchestra embarked on creating the world’s first “Beat Box Concerto”. Soloist Tom Thum was propelled to Internet stardom with his 2013 TEDx performance at the Sydney Opera House, Tom’s 15 minute showcase has quickly become the highest viewed beatbox video of all time with over 50 million online views and counting. Tom’s unique vocal abilities have seen him perform to sold out crowds all over the world. 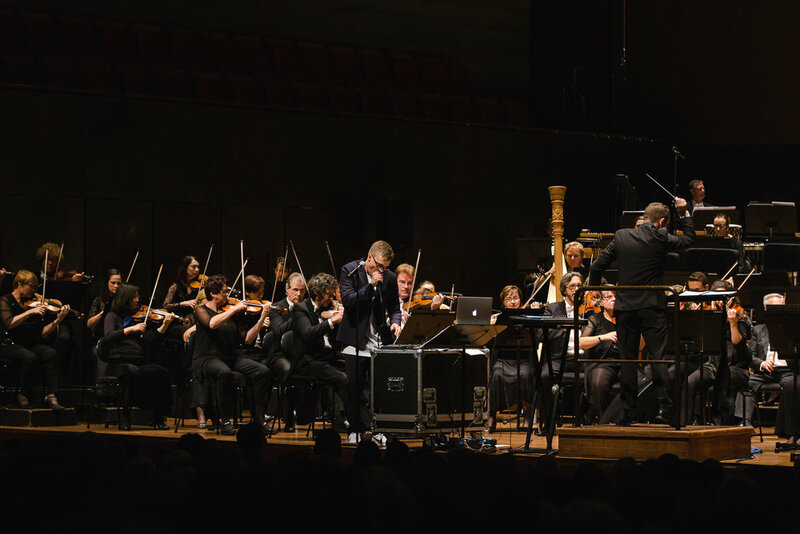 Dubbed as a “powerhouse of musical ideas”, Australian composer and conductor Gordon Hamilton is undoubtedly leading the charge for a ‘new wave’ of classical music, both at home and overseas. After being appointed Artistic Director of The Australian Voices in 2009, Gordon has toured the globe, collaborating with an extensive gamut of orchestras as well as classical, contempo- rary and urban musicians, introducing unconventional styles within the classical genre, spanning popular culture topics such as gender equality and human rights. At first glance, you’d struggle to find a greater example of artistic polar opposites, yet anyone lucky enough to have witnessed this creative alliance would agree that such a curious pairing of music genres compliment each other perfectly. 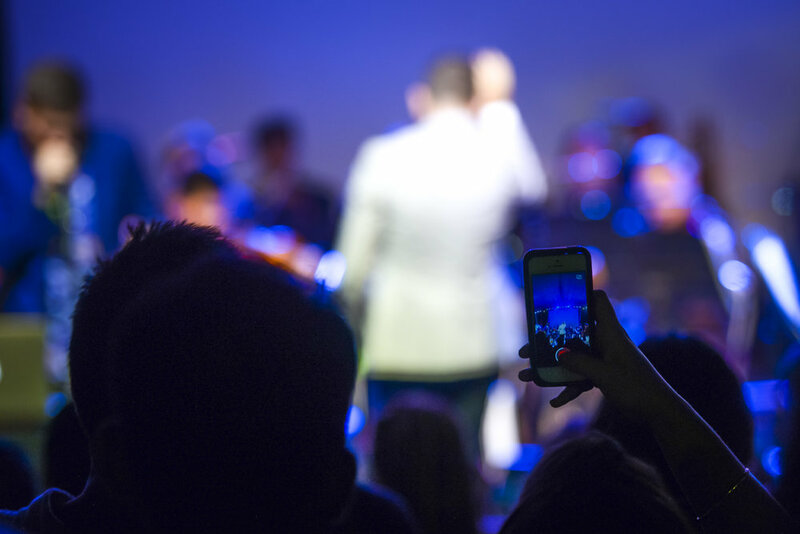 Accompanied by a number of internationally recognised ensembles, Tom and Gordon have journeyed the world over, turning concert halls on their heads, continuing to wow audiences with this remarkable collaboration. Thum Prints boasts a broad spectrum of visual and audio delights, as the duo guide their audience on a strikingly untraditional musical journey. Comprised mainly of original compositions written by Tom and Gordon, the sincere musical dedication from both artists shines throughout their performance. Bridged by comedic interludes, short bursts of pastiche and reinterpretations of symphonic classics, the highlight of the Thum Prints performance is undoubtly their pièce de résistance ‘Ratchet Face’. Fusing the art of beat boxing with classical, trap, loops, rap and operatic vocals into a smouldering 4 minute piece, the live performance video of ‘Ratchet Face’ has already gathered over 3 million plays online. Exceeding all expectations, the concept and execution of Thum Prints has brought orchestral music to a young audience without alienating aficionados of the artform. Tom’s beatboxing agility and Gordon’s compositions seamlessly interweave with one another to create harmony within this juxtaposition of sounds. Tom has risen to recognition through his ability to produce unhuman sounds and his natural knack for performing and weaselling his way on stage. Following on from the 2005 victory in the world championships in Germany, Tom was invited to perform and exhibit in the 2010 world beatbox convention in Berlin. As a solo artist, Tom has proved time and time again that he is a creative force to be reckoned with, whether using one mic, loop pedals, spinning on his head whilst beatboxing or even playing strange instruments in obscure ways they were never intended to be played. Teaming up with long time DJ friend Sampology, saw the formidable duo playing countless festival spots and supporting and impressing a range of Hip Hop heavyweights. Tom plans to push the limits of the human voice as far as inhumanly possible. Enrolling the help of numerous loop stations, Tom has been conducting DJ sets using only his voice and nothing else, propelling crowds across the country into a frenzy of jaw-dropping disbelief. You might see him on a stage at a festival looping up a storm or supporting anyone from the Hilltop Hoods to Blue King Brown, or you might catch him annoying the hell out of commuters on public transport. Either way, you will notice him soon enough. After freelancing for five years in Germany, composer and conductor Gordon Hamilton took over in 2009 as Artistic Director of one of Australia’s foremost vocal ensembles, The Australian Voices. 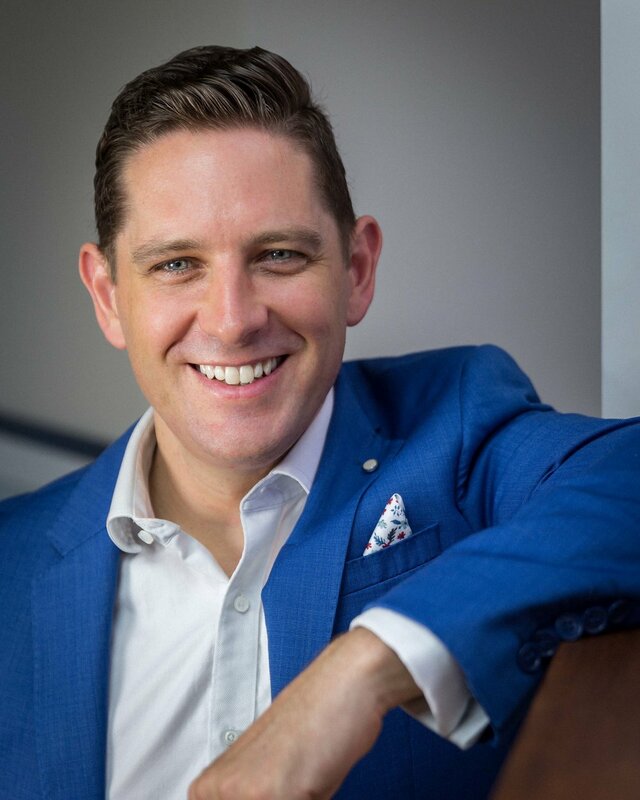 Recently Gordon has composed four works for the Queensland Symphony Orchestra: Ghosts in the Orchestra (2014), The Trillion Souls (2015), Thum Prints (2015) and 482 Variations on a Very Short Theme (2016). His Action Hero (2016) pairs the recorded voice of Arnold Schwarzenegger with orchestra and was premiered by WDR Funkhausorchester, Cologne. His 50-minute choral opera MOON (2011) has toured Australia, Germany and to the Edinburgh Fringe. Under a more cheeky guise, Gordon reassembles the contributions of unwitting collaborators. His Tra$h Ma$h (2012) reassembles fleeting grabs from pop songs. Toy Story 3 = Awesome! (2011) – sets a stream of inane consciousness from his own Facebook news feed. In 2015 Gordon sound-designed the Riverfire fireworks display for the Brisbane Festival. ...they made us do it.